Will Myers play of the day! 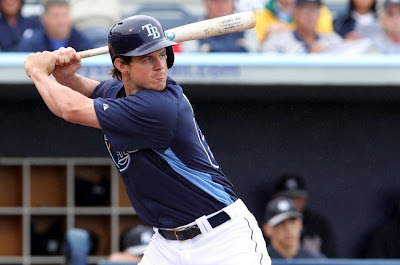 Wil Myers has seven straight multihit games, going 15 for 30 with seven RBIs and six runs. The right fielder is 8 for 23 (.348) with five RBIs in five meetings with New York. Colby Rasmus is hitting .393 since the all star break. Over/Under is 9.5 and i see Rasmus being involved in the run producing. Albert Pujols is 7 for 14 with six doubles VS Milone. Pujols is hitting .310 over his last 10 games. Daniel Murphy, who went 6 for 9 in Friday's doubleheader and is 11 for his last 17, is 3 for 7 with a home run against Haren. Manny Machado is batting .444 (16 for 36) with two home runs, five doubles and eight RBIs against the Red Sox this season. Jordy Mercer is one of the few Pirates currently performing well, batting .341 during a career-best 11-game hitting streak. Starlin Castro is hitting .385 over the past 12 games after getting two hits and one RBI on Friday. He's 10 for 24 (.417) with two homers, two doubles and five RBIs in as many games versus the Giants this year.